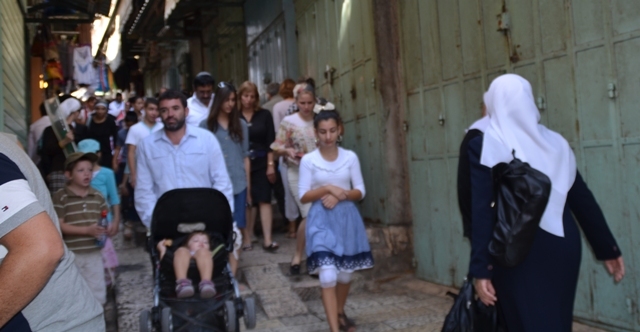 Jerusalem, Israel, was crowded with visitors for the Sukkot holiday. 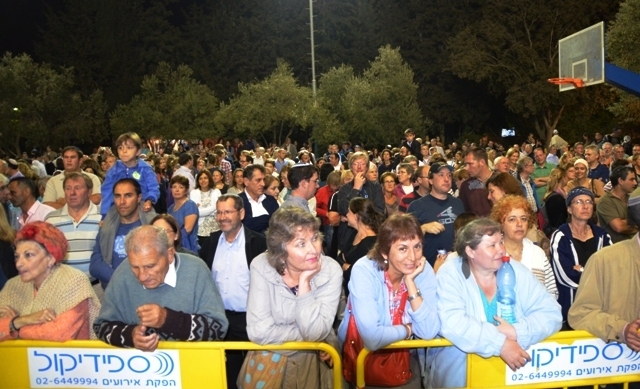 as Birchat Kohanim attracted crushing crowds. but she did not fear revenge as she tried to pass through the crowd. 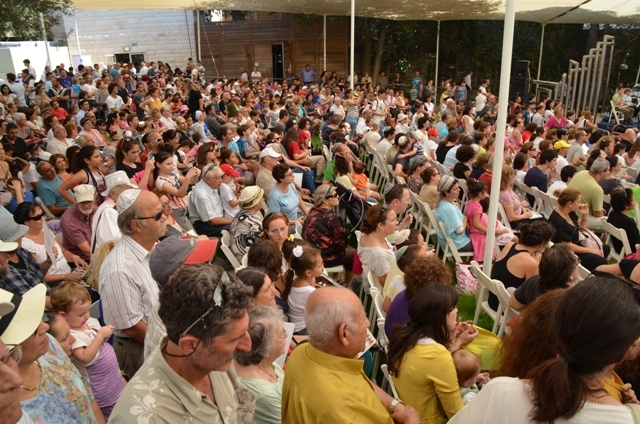 Beit Hanasi, the Israeli President’s residence, held a sukkah open house. 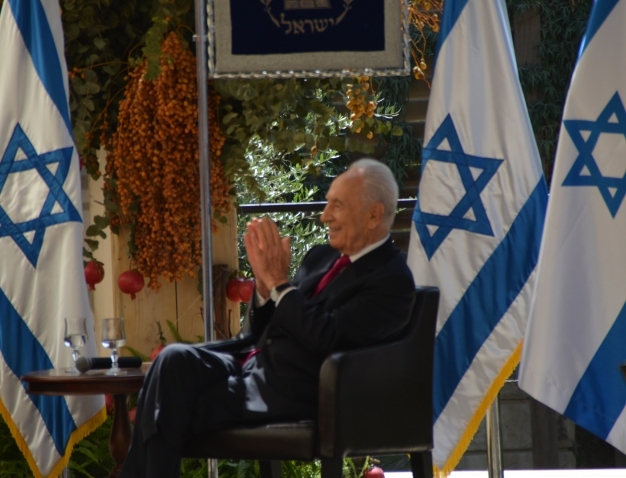 while Israeli President Shimon Peres sat and smiled on stage. and smiles that stood out in the crowd. 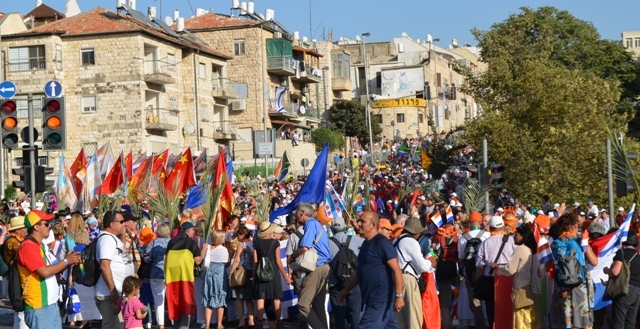 and from 60 countries marched through the center of town. but many countries had very large delegations. to see the costumes and receive small flags from around the world. received many smiles and thanks. 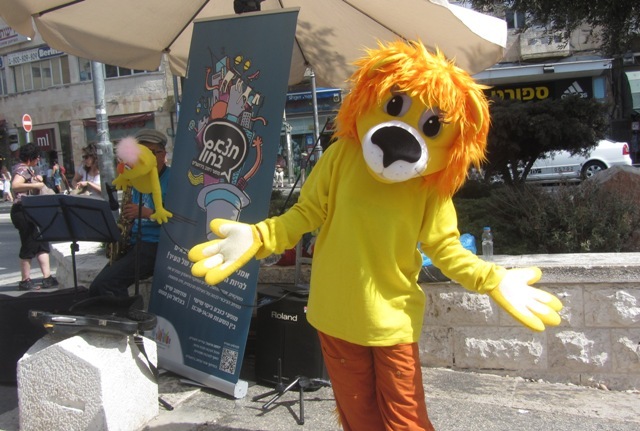 For more parade photos see The Real Jerusalem Streets Facebook page. and family reunions during the holiday vacation week. that does not show at the right place or the right time. 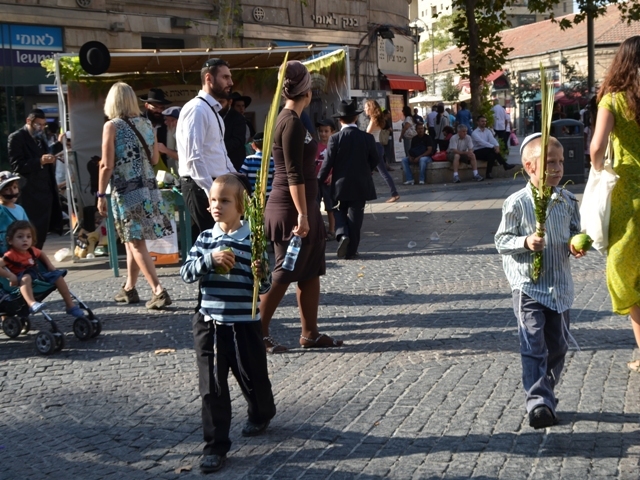 as Chabad had young boys offering lulav and etrog to those who passed by. 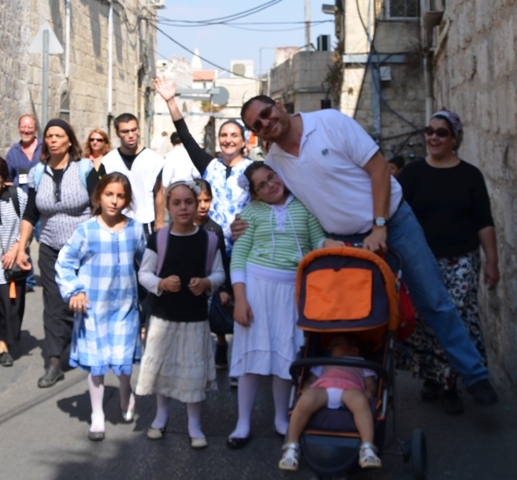 There were so many smiling faces of children on family outings. 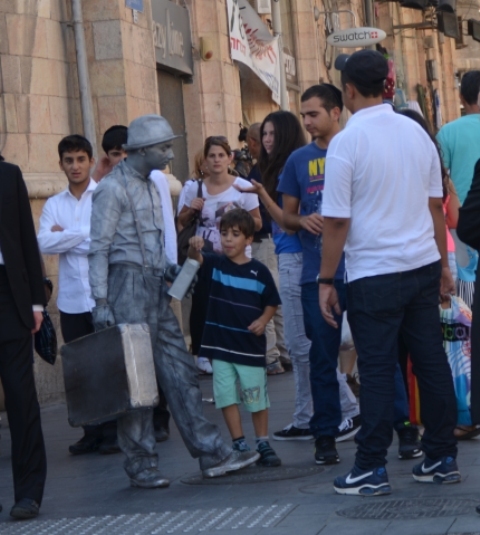 This mime on a street corner got attention, a smile and money. 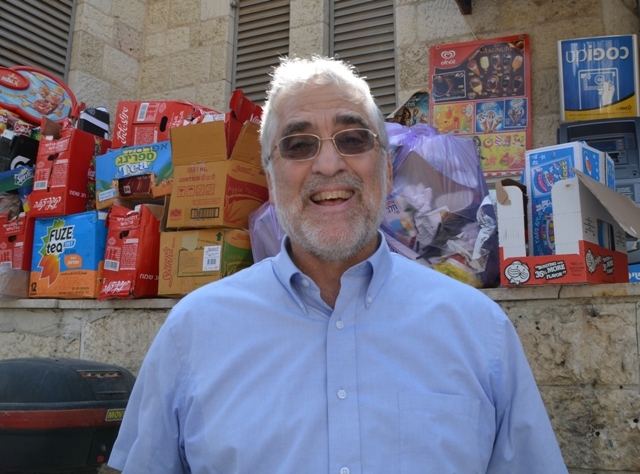 but one of the last ones was Hakafot Hasheniot, the second Hakafot. energized Gan Hapa’amon, the Liberty Bell Park. but some were still able to smile at the end of a long holiday week. 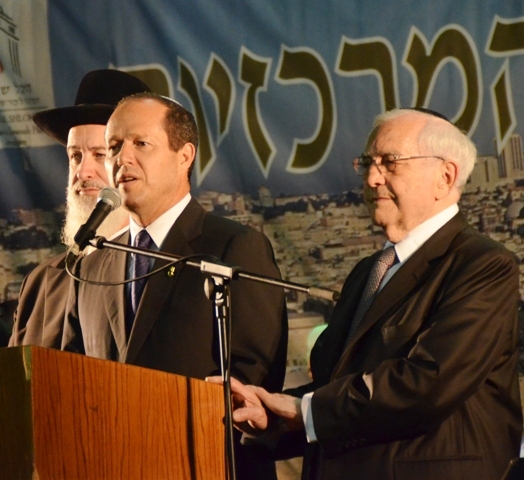 as did Jerusalem Mayor Nir Barkat. 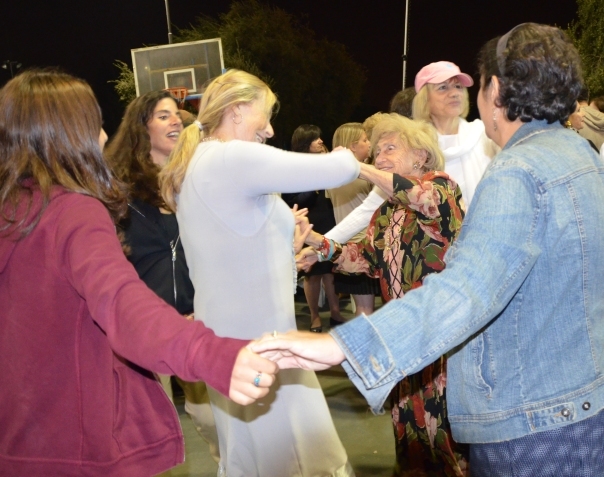 and women were dancing and smiling too. 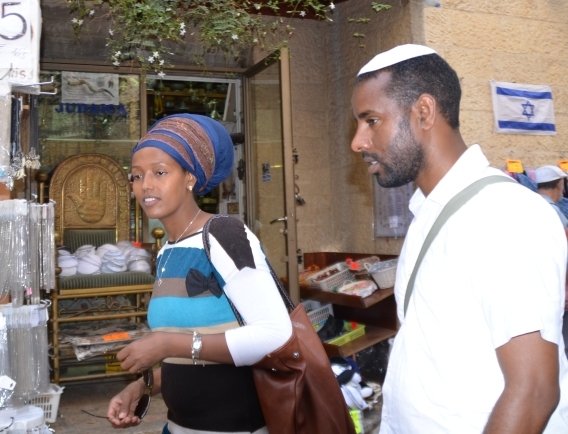 More photos in The Real Jerusalem Streets Facebook Hakafot album. 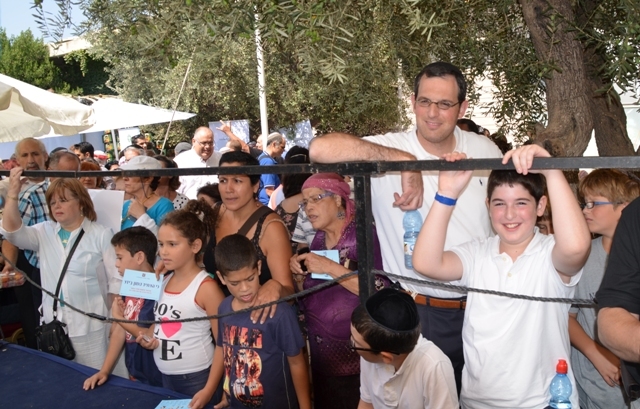 but I especially liked the many families with big smiles. Now it is back to school and back to work. Thank you, as always, for showing these real and wonderful streets! Thanks for letting me know it is appreciated! 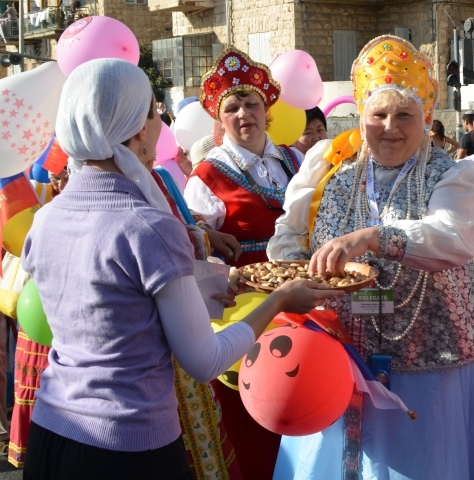 There were so many more photos, Sukkot time is so busy. Thank you. Not sure about the women dancing on the stage, but there were plenty of women dancing. 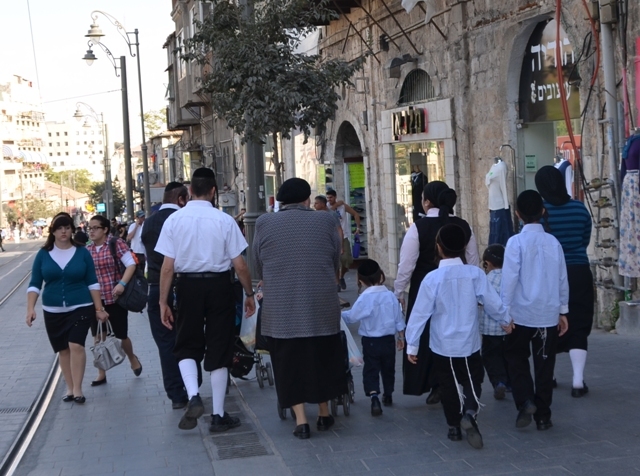 And every year there seem to be more places where women do have a Torah. You captured so many wonderful moments, but photos only tell so much. Everyone needs to come and feel it here! 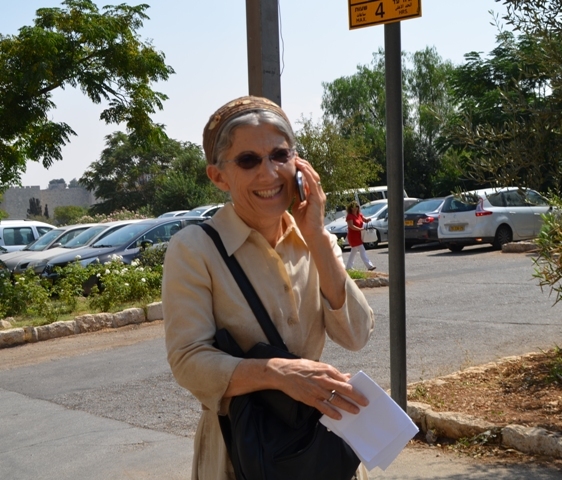 Sharon, is it despite our kvetching we’re a happy people, or because we kvetch so much that we’re a happy people? Have no idea, I was asked by a reporter yesterday about how the real streets feel about Iran threat. 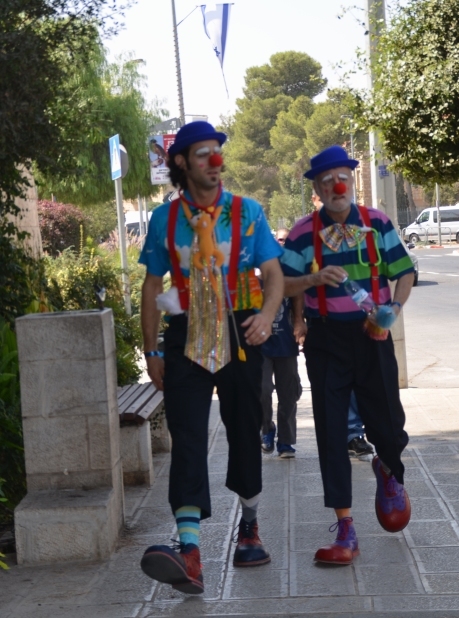 Said that we have family in Sderot we are used to threats all the time, and just get on with living the best we can. I really enjoy seeing the beautiful pictures that you post! Thank you !